Apple's Phil Schiller said that the company is excited to bring HomePod to China and Hong Kong in a statement made when the launch was announced. 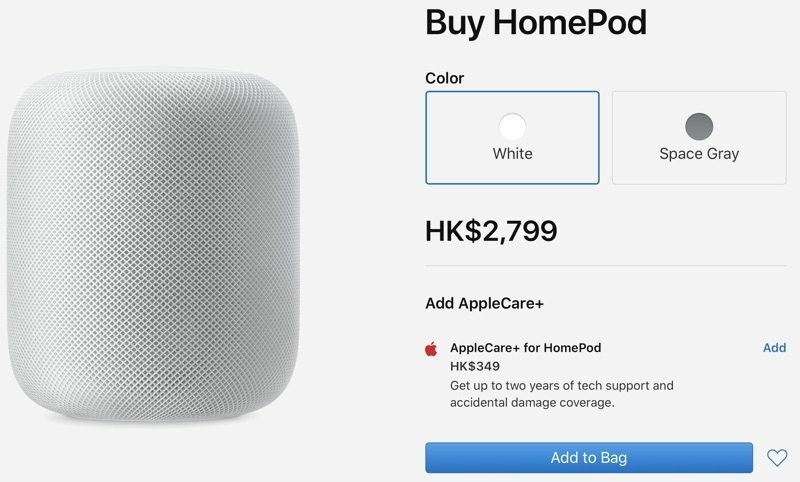 I am in Hong Kong and I thought this is the new HomePod 2 or the HomePod mini. Apple can’t update their popular products in 5 years so don’t hold your breath for a HomePod 2 in the next decade. About $360 USD, not that much difference. Im sure it will be huge hit, just like the iphone XS, XR. Seems like iPhones and iPads and Apple Watches are getting all kinds of updates.